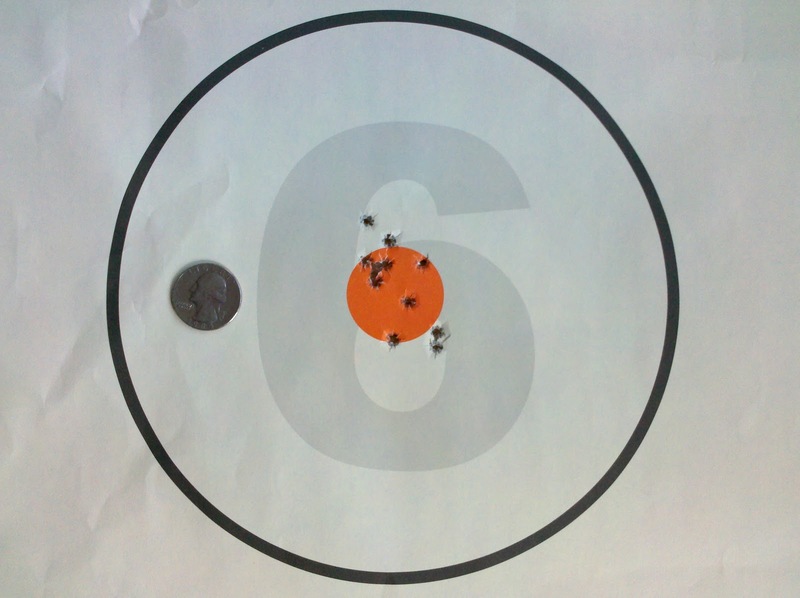 I took it to the range once already, on the day I picked it up from the gunsmith, but I forgot to bring my screwdriver so that I could zero it. Today I brought the screwdriver and dialed the adjustable sight in. 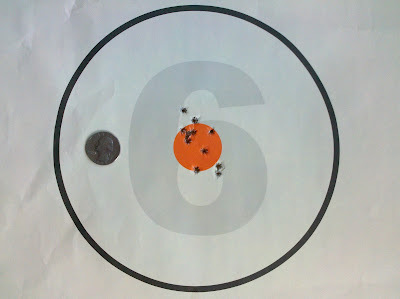 And this is 10 rounds at 20 yards, the maximum distance you can get at this particular range. I think that is acceptable accuracy. I really like my Volquartsen trigger. Technical details. 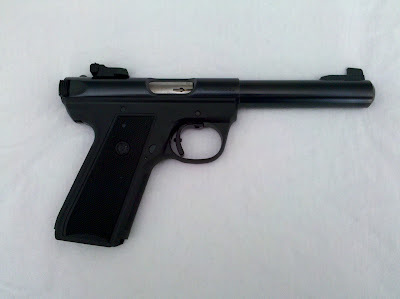 This is a Mark III Ruger 22/45. The trigger is a Volquartsen Mark II trigger. This eliminates the magazine (un)safety. The ammo was CCI Blazer ammo I got for $18 for 500 rounds. BTW is that off a rest or free-standing? This was standing, two handed, using all the techniques I learned from the TigerSwan guys. 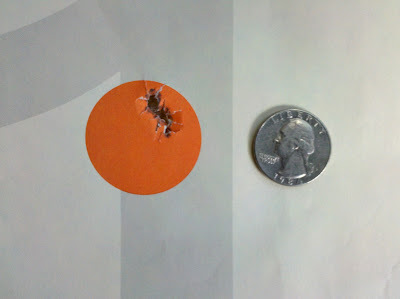 I didn’t rapid fire, but I didn’t take more than 30-45 seconds to shoot this.